The manufacturing and engineering industries deal with the complex principles of physics. 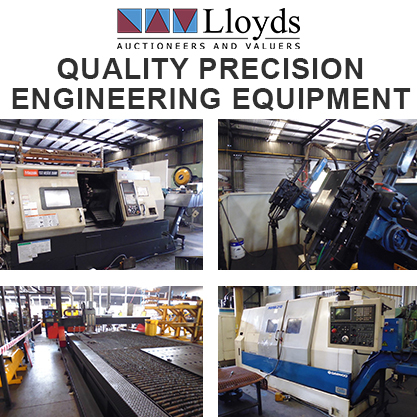 However, shopping for manufacturing and engineering equipment need not be complex at all – thanks to the team at Lloyd Auctions. You don’t need to be a rocket scientist to participate in our online auctions. We sell in-demand manufacturing and engineering equipment from a vast array of industrial providers. You can browse and purchase via our simple registration process and quick and easy bidding system – or, visit our auction yard in person. Lloyds Auctions makes it easy to shop and bid on any item that you might require for your manufacturing industry needs. We auction items that assist the operation of such industrial sectors as medical and pharmaceutical, metal work and fabrication, food and chemical processing, plastic/moulders and extruders, printing and packaging, textiles, laboratory and biotech and woodworking/mills. Our manufacturing stock is always snapped up super-fast. Lloyds Auctions are perfectly positioned to offer manufacturing equipment for sale from a large cross-section of industry providers – this means a great deal of choice and guaranteed value. 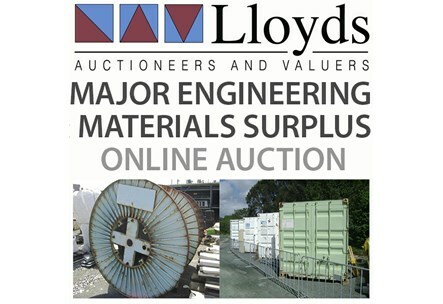 Whatever your engineering requirements we have your needs sorted at Lloyds Auctions. We sell plant equipment, compressors and generators. We also have an exciting and comprehensive range of portable buildings. Whether it’s so you can create more office space, provide site accommodation or even add a granny flat to your home, our regular portable building and container auctions will more than cover what you are looking for. Browse our variety of transportable buildings and dongas for sale; including portable office buildings, amenity & ablution blocks, site offices, accommodation and demountables. We source from leading manufacturers across Australia. You can bid easily online via our simple auction process and many of our auctions start at as little as $1 – most are also completely unreserved.